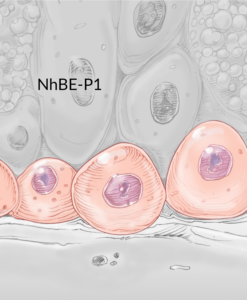 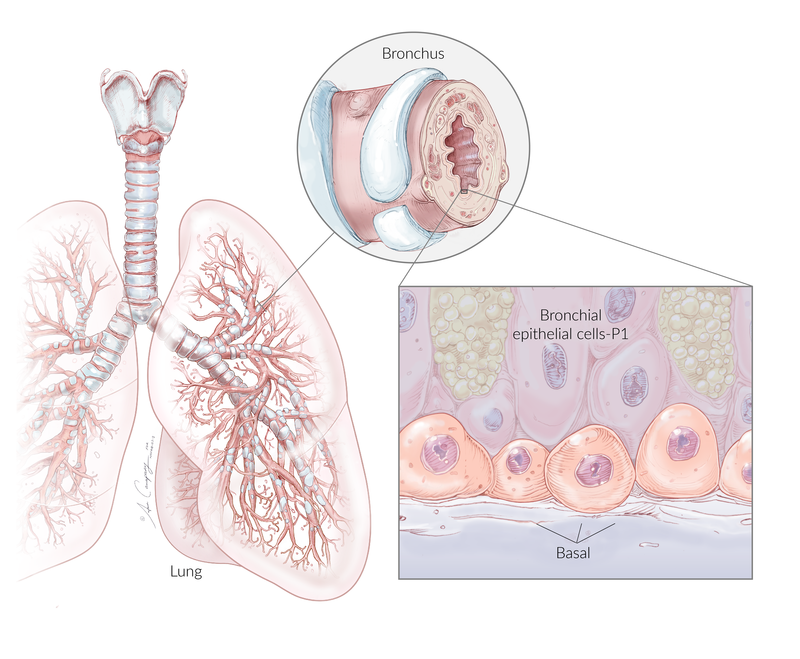 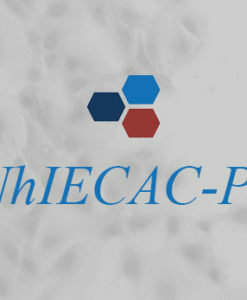 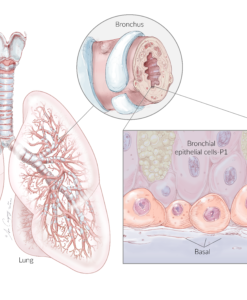 Proliferating Normal Human Bronchial Epithelial Cells- P1 (NhBE-P1) are isolated, initially as NhBE-P0, from the bronchus at the bifurcation point to the fourth generation of bronchi. 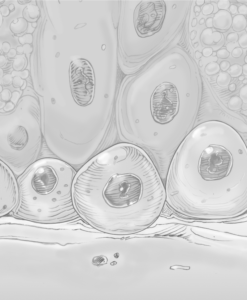 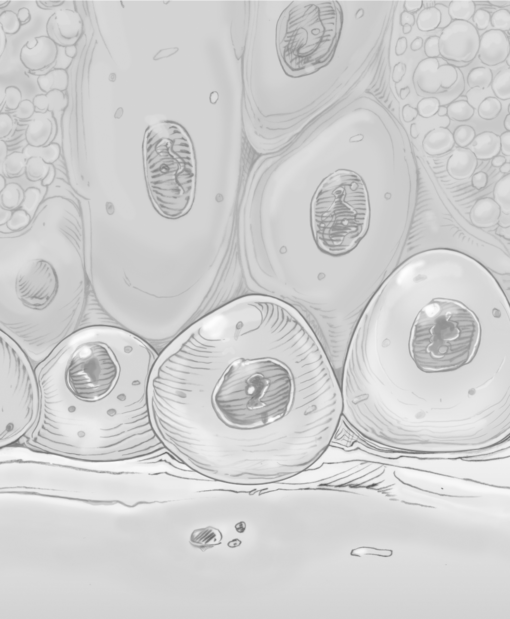 The original cell composition consisted of a mix of differentiated ciliated, non-ciliated, goblet, and basal cells. After culturing the mixed NhBE-P0 in BEGM, CRC or Dual Smad culture conditions, the result is a homogenous population of basal cells, or NhBE-P1. 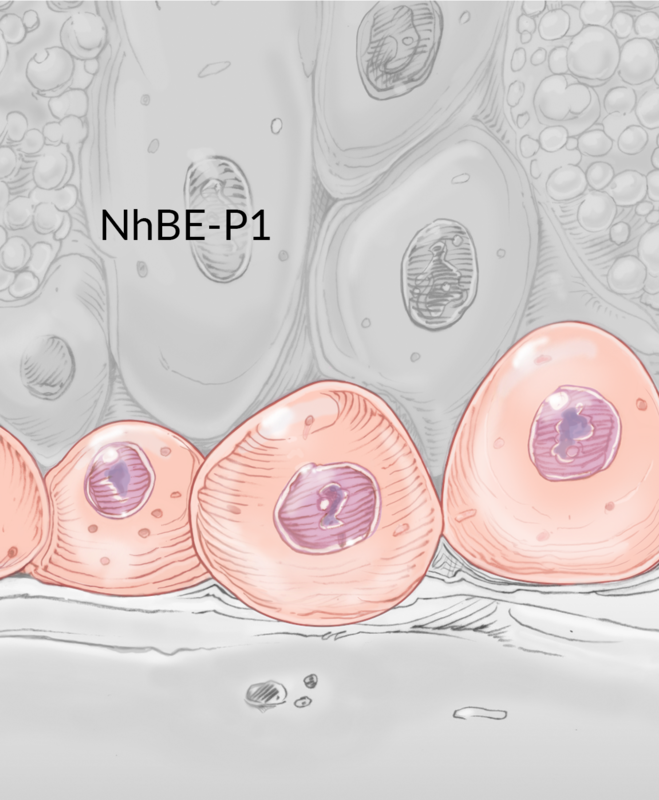 Proliferating NhBE-P1 cells have been characterized by morphological assessment by light microscopy. 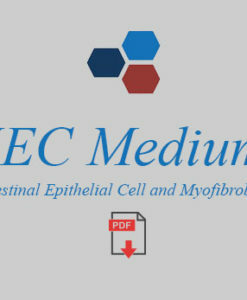 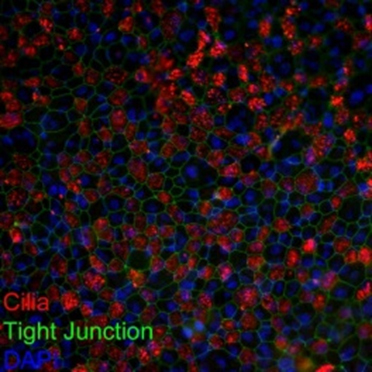 The NhBE-P1 homogenous basal cell population was then further QC tested after differentiating the NhBE-P1 cells (using Novabiosis ALI media) Proliferating Normal Human Bronchial Epithelial Cells-P1 (NhBE-P1) into ciliated, non-ciliated and goblet cells. 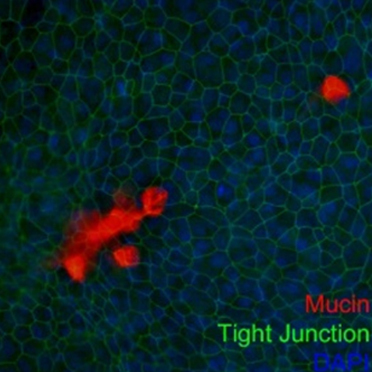 These differentiated cells were characterized and Air/Liquid Interface culture (ALI) validated by immunofluorescence using protein markers for Cilia (acetylated tubulin), mucin (MUC5AC), tight junctions (Zonula Occludens-1), and basal cells (cytokeratin-5). 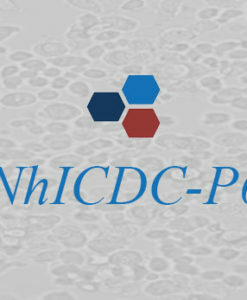 The NhBE-P1 cells are guaranteed to have minimum population doublings of at least 20 (from P1 to P3) following the instructions and conditions provided by Novabiosis. Proliferating NhBE-P1 are for research use only and not approved for human or animal use, nor for in vitro diagnostic testing. Upon receipt, immediately transfer each cryovial into the vapor phase of a liquid nitrogen storage dewar. 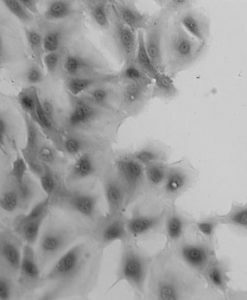 Cells are viable for at least 2 years when stored under these conditions. 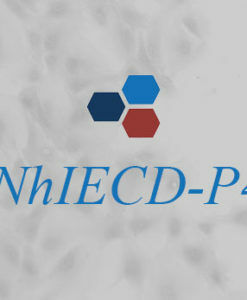 Cryopreserved proliferating NhTE-p0 are assured to be viable and functional when thawed and maintained properly.